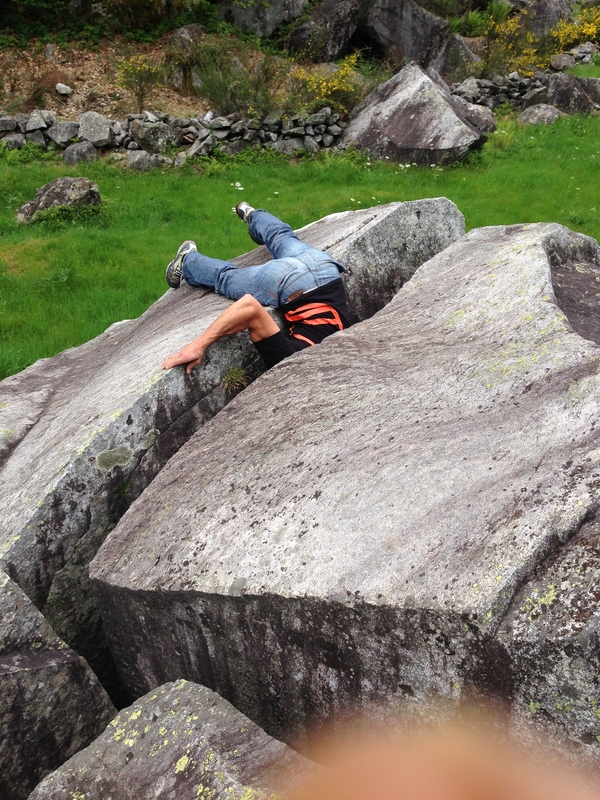 Whenever I’ve thought about trying to push the standard of crack climbing, it always seems so simple. Climb something hard, find something harder, do some training and repeat. This week though, I’ve found myself with a dilemma. I’ve found that mega hard project, done it and now feel really nervous about where I am. Last year I spent quite a bit of time researching hard crack climbs around the world in the quest to find something to really get my teeth stuck into and also one that would be a first ascent. I knew about Mason Earle’s unfinished crack in Utah, Peewee’s roof project in Canada but realised I needed something that I could could try without taking away from other people. That’s when stubbled across two ideas at once – the Gondo Crack and the Pura Pura Project. One is extremely bouldery and slightly overhanging, the other is a complete endurance burl-fest. Anyone who’s had a look at previous blogs will know that the former is Gondo Crack and the latter is something I tried last year in the Orco Valley. The Pura Pura is not maybe what most people would envisage when they think of crack climbing, as in fact it’s a combination of hard boulder and hard route climbing. I supposed it was inspired by watching Dani Andrada in his Spanish caves contorting his way round impossible looking 9a+ link ups as a way of finding the hardest climbing possible. This project aims to link together two climbs of equal length, difficulty and steepness – The Greenshadow and Greenspit. You climb all of Green Shadow with a rope on and then immediately press on into the amazing roof of Greenspit, with the crux lying in wait right at the end. All in all it’s about 25m of extremely steep roof crack climbing and one that leaves your shoulders and core feeling like useless lumps of flesh hung on a skeleton. Trying the link up last year I found that I was no where near strong enough or fit enough to put the two together. In their single entities they were manageable, but trying to climb Greenspit already pumped and powered-out seemed impossible. It was a whole significant level above for me and I knew I’d have to put massive amounts of work into achieving my aims. Needless to say, the hard work part is what I enjoy the most and over the last six months I’ve pushed pretty hard to make the steps after Century and Cobra possible. 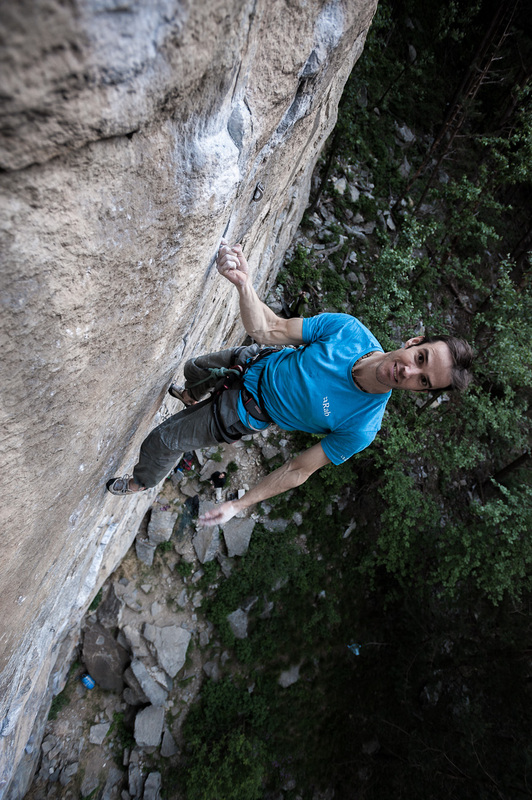 My climbing started to fall into place in the last couple of months with a near redpoint on Gondo Crack but it was this trip to Italy when I felt like everything worked 100%. The problem now is, what do you do when you tick the thing that seemed impossible? Do you go with your feelings of years of experience or do you write it off as a fluke? When I topped out on the line, almost every muscle was at failure point. My fingers were uncurling on the final slopers, my arms were jelly and my core like felt as if I’d done a million sit ups. Still though, in the end I wanted to sit in a position of comfort where I could say “well, it’s not that hard, I could obviously climb harder.” Well, maybe if I think about it, I can’t. Maybe that’s where I’m at right now. I can’t climb any harder and I should be happy I’ve pushed it all a notch higher. So, I’m going to take a risk. Nico wouldn’t state a grade when he did Recovery Drink, Beth Rodden didn’t when she did Meltdown and if I’m honest I’m very tempted to do the same as it’s the easy way out. I could just say “it’s the hardest I’ve done, but I’m not sure how hard.” Life is too short for safe bets though. I’ll put it on the line and say it. 8c+. You’d think being a climbing coach would make me good at dishing out this kind of advice to myself and taking it on board. I think I’m probably ok at telling myself, but very poor at listening! 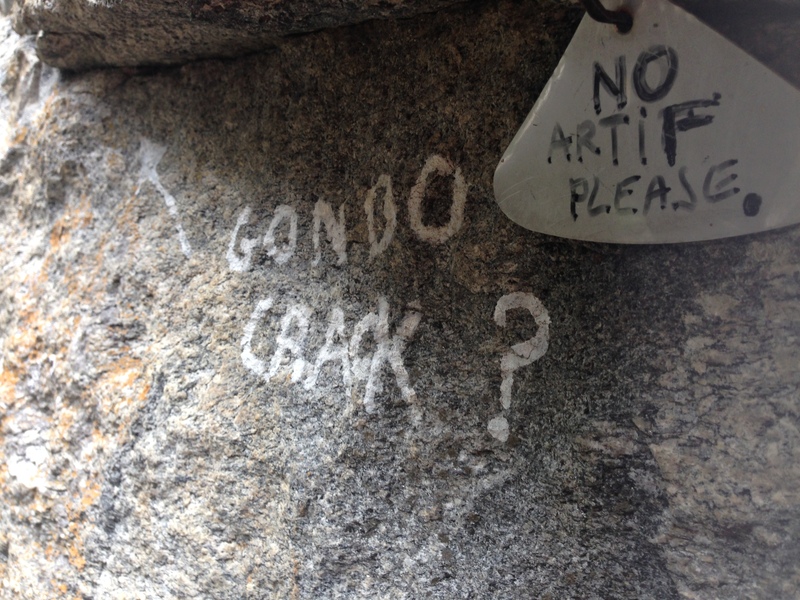 In my last blog about returning from Italy to try Gondo Crack I had to do just this. I was burnt out, tired and lacking mojo. I told myself that it wasn’t the end of the world and all it needed was some rest, which probably for the first time in a (very) long time I took. My God, it felt good. And weird. Six days off pottering around on the beach with my family, going for walks and watching TV was my medicine and I was very curious to see the effects. Well, it’s one week later and I cannot believe the difference. It’s like someone injected a 25yr old me into my body and gave me the most psyched mind for quite some time. After that week off, I came back and had training sessions that went through all previous highs and did a few link-ups that I wasn’t sure were possible. It’s all very well me going on about this to you, but I’m not sure you really care if I suddenly did a 9b+ crack on wood – it’s just fake stuff. What really counts is what you’re going to do now, with this information. One of the best blog posts that I’ve read recently, comes from British climber Mina Wujastyk about her recent experiences on the world cup scene and how her levels of motivation in climbing were fluctuating hugely. It wasn’t the quality of the writing or the photos that got me psyched, it was the barefaced honesty of it. These days it’s actually pretty rare to read something from an athlete (particularly a climbing one) that lays down some of the truths about how hard it is when things are going wrong or when they’re suffering. Perhaps we all want to appear superheroes, or maybe it’s just plain hard to say we’re hurting? I’ve just arrived back in the UK this week feeling pretty miserable. Last week I went out to try and complete the Gondo Crack project that I’ve spent a fair bit of time working on and I failed. I was climbing really well, my head felt amazing and I wasn’t making any mistakes but yet I still didn’t succeed. On the final day, in the final hour (yes I was going for an all out, just before catching the plane attempt!) I grasped the finishing hold with my fingers, but they uncurled and my body hurled downwards. Swinging around on the end of the rope, I knew I’d given everything and it was over. Everyone at the base of the route looked towards the ground and I could feel a sense of disappointment that the person they’d tried to push upwards with screams of encouragement had fallen short. 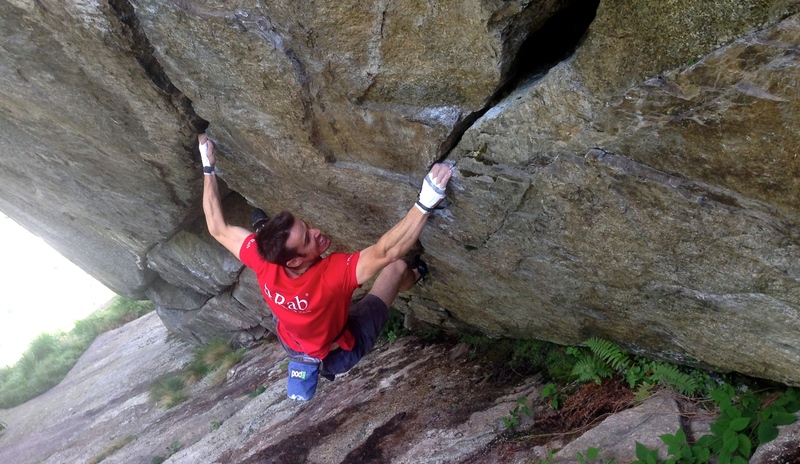 During the last visit to Italy (I stay in Italy, but travel over the border each day to try the project) I was privileged to meet so many people from the Ossola climbing community. These guys are incredibly passionate about their region and visiting various houses during the trip was constantly opening my eyes to this. There were always photos on the walls of alpine adventures, multi pitch new routes, topos and climbing pioneers up in frames. 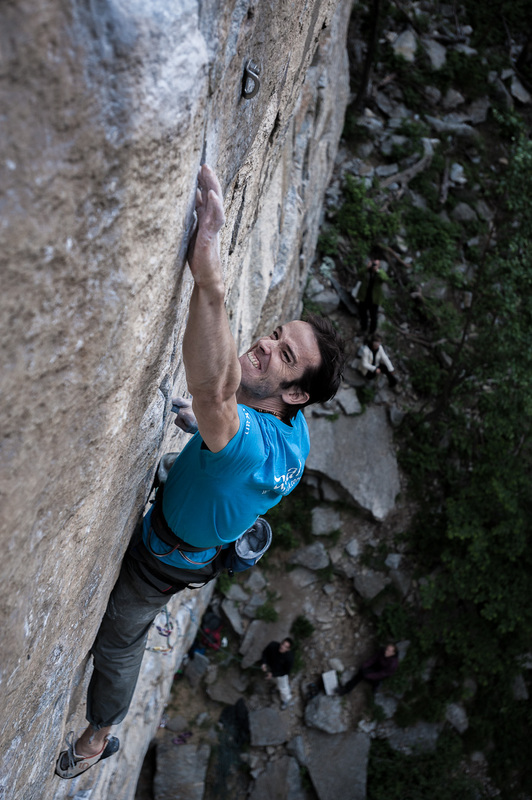 The history of climbing here is just as rich as ours back at home and the characters involved in the development are real legends. I think it has been the influence of this crowd here in Italy that has made me so determined to succeed on Gondo Crack. They’ve made me believe that putting in extra effort to something that seems unattainable is worth it and when I see each of their faces, I know they’ve already been through that experience. The ups, the downs and the shear hard work. Being back in the UK again has been really tough, I won’t lie. On the first day back I allowed myself a day off from training (I desperately wanted to punish myself for not succeeding) and spent time relaxing with family and friends to give myself a break from the intensity. Whilst it felt good to chill out, I couldn’t get my head out of gear and I felt like my mind was still pedalling at a breakneck speed towards a certain belay I’d failed to clip. The next day I felt like I need to start training early. I didn’t want to miss out on any more time and I needed to understand what my body was asking me to do next – did I feel on form to push to another level or was more time out needed? Within 10 minutes, I knew the answer. After just one lap of a hard crack circuit I felt like crying. I had nothing. Suddenly my mind had joined my body and I finally knew that I needed to accept that I’ve got to allow myself some time. Time to reward myself for actually giving 100% to the project and for not flying out from that country thinking I could have given more. I couldn’t. And I should be flipping psyched about that. The problem is, that all of us who want to push ourselves in sport are generally quite hard on body and mind. We rarely savour the thrill of succeeding and often reward ourselves in a fairly transient way. Just think about the last project that you completed – did you have a big celebration afterwards, take 2 weeks holiday from climbing and write it down somewhere that you’ve achieved your goal? I suspect not. I would put money on most of us having a meal out / drink in the pub with mates and then getting stuck into training or climbing again within 2 or 3 days. The problem is, that this isn’t a realistic way forwards in the long term. Whether we succeed or fail on a project I think we need to recognise that the huge length of “build up period” that we put into these things deserves a longer “reward period” to balance out the mind and body. For that reason, I’m now on a beach holiday in South Wales and I’m pleased (I didn’t grit my teeth honest…) to say I am not training for a whole 6 days. Yes, that is SIX days.